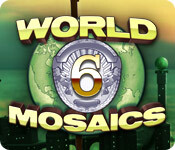 World Mosaics 6 is rated 4.2 out of 5 by 64. Rated 5 out of 5 by kdeltakilo from Kids, let me tell you about the time... I love the storytellers in this series. Makes me think of some great dad who loves to entertain his children with wild bedtime stories. "Kids, let me tell you about the time I traveled back in time to 1776." The puzzles are fun too, but I really get a kick out of these storylines. Hats off to the writers... and everyone else involved in making these brilliant games. You're very talented. 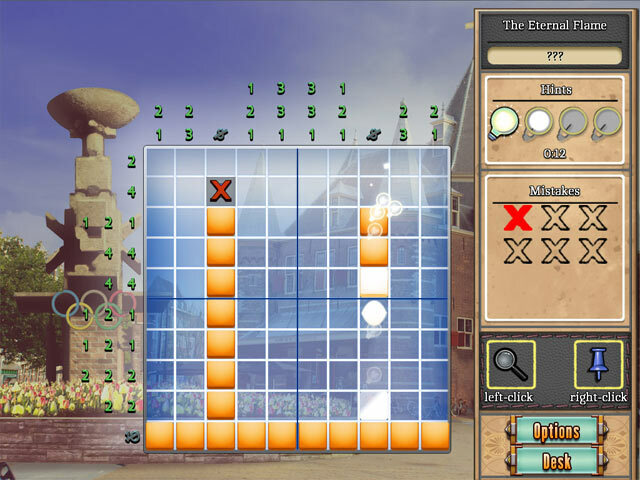 Rated 5 out of 5 by AdrianaIP from Addictive Why are World Mosaics so addictive - and one of the top ones in this sort of puzzles? For one thing they are deceptively simple You fill a couple of rows and columns and think it will be easy, and then you are stuck with rows of 3s, or 2s, 1s, and then you start to sweat. And do not think that because it is 15x15 that it will be easy. You can sweat on those quite easily. Also, they know how to make the mosaics pretty. Beautiful even when made small. They even have the gall to reproduce famous paintings, and they pull it off. There is a gloriously silly storyline It involves time travel, Napoleon, death rays, and dinosaurs (but sadly no ninjas). It is a winner in all respects! Rated 5 out of 5 by GGHusky from The World Mosaics 6 It excellent but very challenging to find out the picture from the squares and numbers. 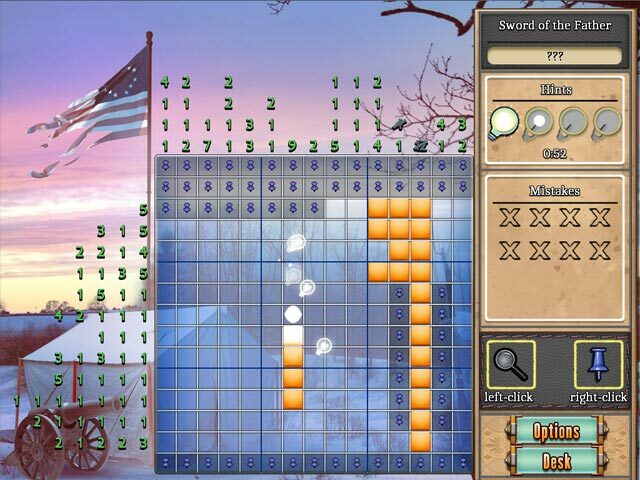 If you play it a lot it will get bit boring but then soon you will come back to it and play it even more. If you are not sure about it and then try the demo and then you will get really into it and then it will make buy it and play it more along the chapters and levels and get harder levels. Rated 5 out of 5 by rajhar from Good mental workout PROS: I love these types of games and found this one to be a good challenge. Unlike a couple of reviewers, I was able to work out every puzzle without guessing, though it did take some concentration (and once in a while walking away from a puzzle in progress). The 25x25 grids were especially fun. The star system made me want to go back and beat my scores. CONS: Board contrast sometimes made it hard to discern blank from X'd squares. Music still cheesy. Rated 5 out of 5 by Bassndeer from Love all Mosaics! Great fun, I play these over an over. This last one was quite a bit more challenging, and I am repeating (and repeating and repeating) to get all stars. If they keep releasing these for eternity, I'll be a happy camper!! Rated 5 out of 5 by Bogey_2006 from this is a great game... bought this one a while back and have played it many many times..and will play it many more....it was my first one of the series. It is not the most difficult of the series - actually the 1st and 2nd are more difficult...but this one has the most relaxing and enjoyable background music. The others not so much....If you own this one and like the game, you should consider buying the first ones for more of a challenge. 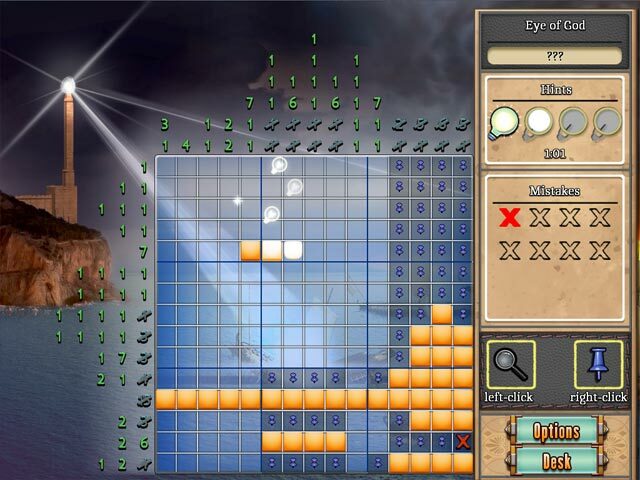 Rated 5 out of 5 by akgoss007 from Another Great World Mosaic Game! Thoroughly enjoyable, as are all WM games! I enjoyed the bounty of bonus games too. I could care less about a story line. I'm here for the puzzles! The image underneath the grid did trip me up a few times, as did the right/left clicking. Bring on World Mosaics 7!